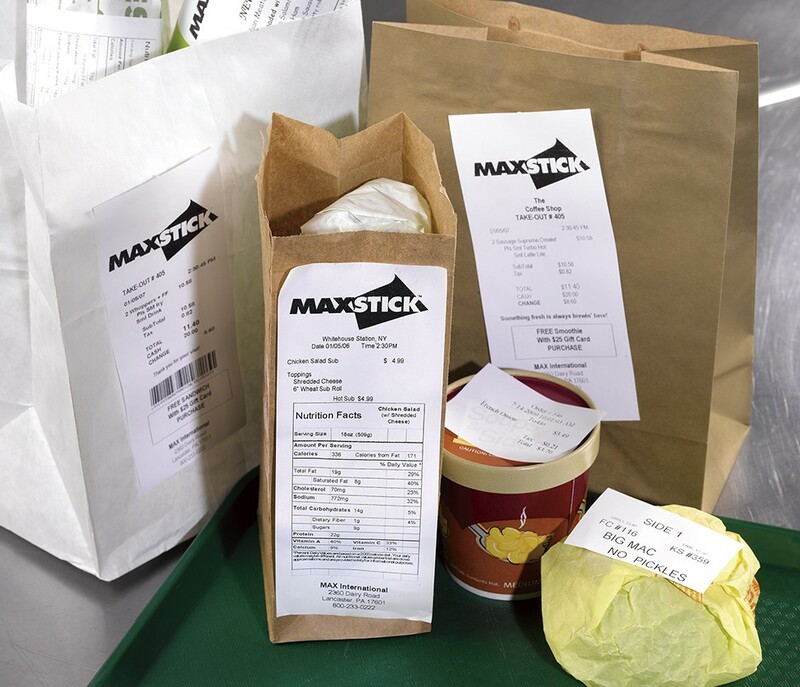 Label printers use direct thermal or thermal transfer printer systems to produce individual or batches of self adhesive labels. Alternative techniques can be used to produce labels on standard miniprinters (see sidebar) but for true labelling applications, a dedicated, purpose designed printer is essential. These direct powered, benchtop labellers are required for higher volume and permanent labelling operations. They accommodate a larger, longer label roll and options are available to include a cutter or label dispenser. They can also print on; die-cut, continuous, fan-fold media or tags. Many can print tickets onto direct thermal or plain paper (using a thermal transfer ribbon) and some are suitable for printing on fabric, plastic or metal labels. Smart and portable printers that print and store label information without the need to be connected to a PC. Standalone, compact and portable printers are ideal for retail labelling on the shop floor and food preparation labelling in the kitchen. Although not designed for high demand label applications, some mobile printers have a 'black mark detection' feature. This means they can be used for 'occasional' labelling. They can print pre-cut labels on a small roll with a black mark or a hole in the webbing to enable accurate registration. 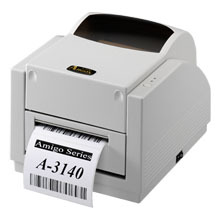 Many mobile, POS and even panel mounted printers are also compatible with 'Linerless' label stock. This is a continuous roll with an adhesive reverse side but with no backing (webbing). This technology is convenient because it saves peeling labels off the backing, reduces waste because there is no backing to dispose of and maximises the length of label stock on each roll. 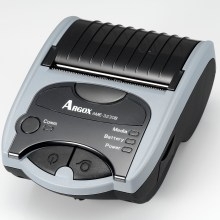 A Series desktop label printer. 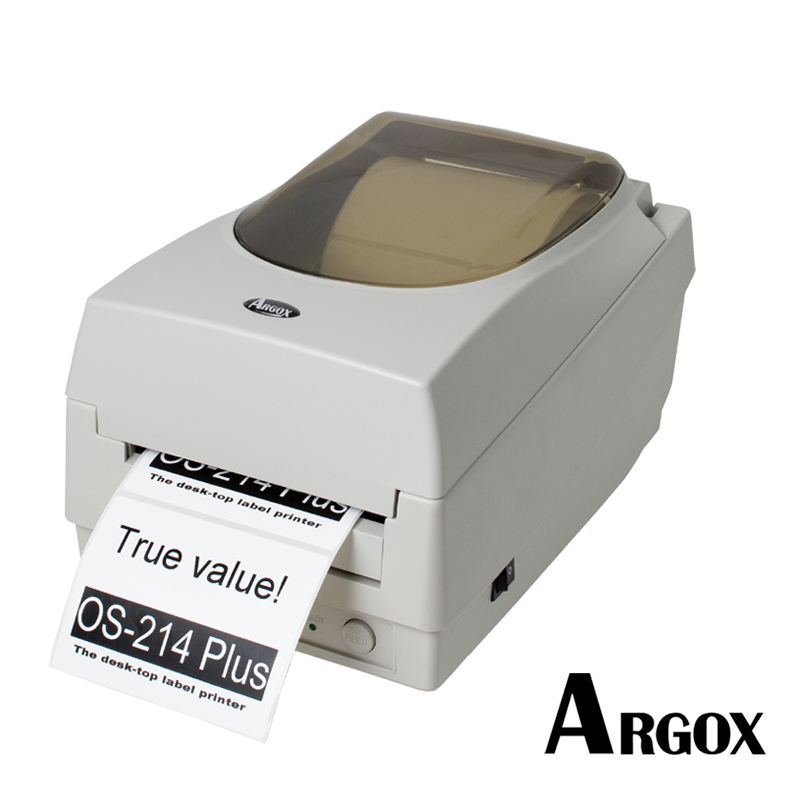 OS Series desktop label printer. 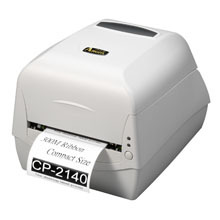 CP Compact desktop label printer. 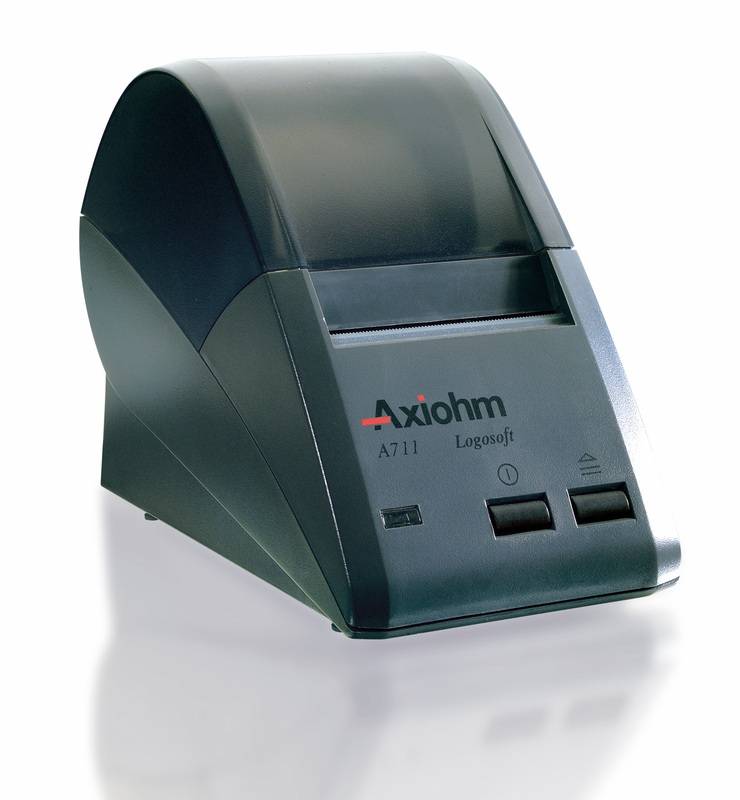 A711 Thermal paper or label printer. 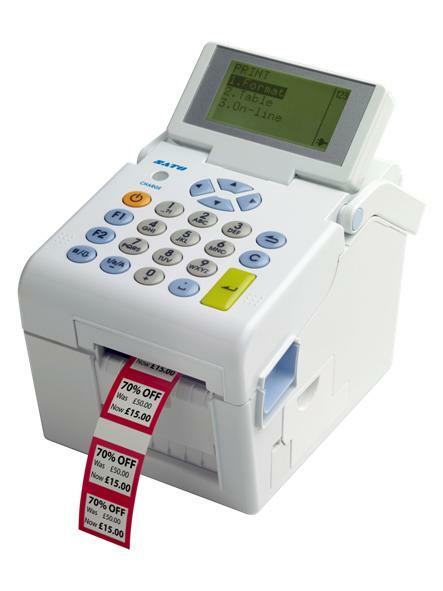 CG Series desktop label printer.